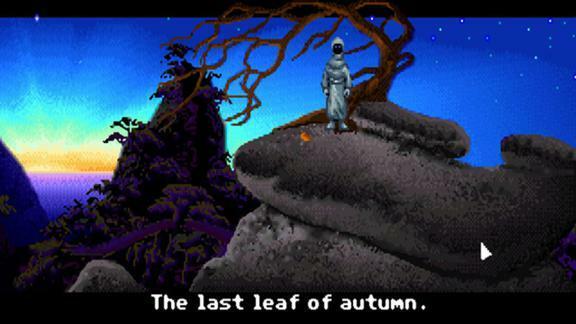 Loom was a beautiful game that combined great interface and graphics and for the time brought a music theme to the table. As Bobbin Threadbearer you must uncover different spells that you can weave on your distaff. The game had very serious undertones but with the notion laid out early that you can never die, and will never have to go back, your just play and explore mentality was able to take over. I remember experimenting at great lengths to uncover different spells and their effects on the world. Guilds rules the world and as a member of the weavers guild you very early on must venture out into the world and seek the help, or hindrance of other guilds including the blacksmiths, glass makers, and Shepard’s. The game has top notch story telling and a climatic ending worthy of my top 5! 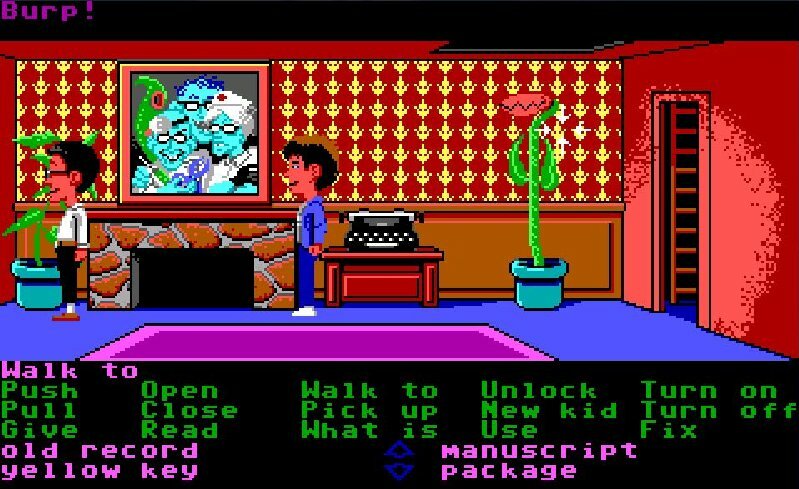 Maniac Mansion is one of those classic games that most gamers especially pc gamers remember fondly but few ever truly finished. That’s because this game was hard, damn hard! As the game opens you must choose two characters to join the protagonist on his adventure into the Edison mansion, this is a crucial point as each character has abilities and ethics, some things one could do within the mansion, another couldn’t, such as place the gerbil in the microwave (c’mon we all did it!) The game was unique in that events occurred in almost real time and the player was treated to cut scenes of the evil characters in the mansion going about their business as your three kids wandered around, the only clear goal was to save Dave’s girlfriend. This game has so many memorable sequences, such as the bullying purple tentacle , or finding dead cousin ted in the shower! With 5 different endings and a feeling of freedom rarely seen at this time in gaming Maniac Mansion still holds it own, and there are many dedicated fans who still cherish this title. This is one of the lesser known games in the point and click world which is a shame because its one of the best! With amazing story telling, a great bad guy, a love story, and simplistic but elegant game play Kyrandia was an easy choice for my number 3 slot. The game starts with an evil Jester, Malcom having just slain the King and Queen of the realm, Malcom this goes on a killing spree against nature, destroying trees and turning people to stone, he is one powerful and evil little dude. As Brandon you must explore the treacherous world of Kyrandia and figure out how to stop the Evil Jester. The game has some awesome puzzles and top notch cut scenes. 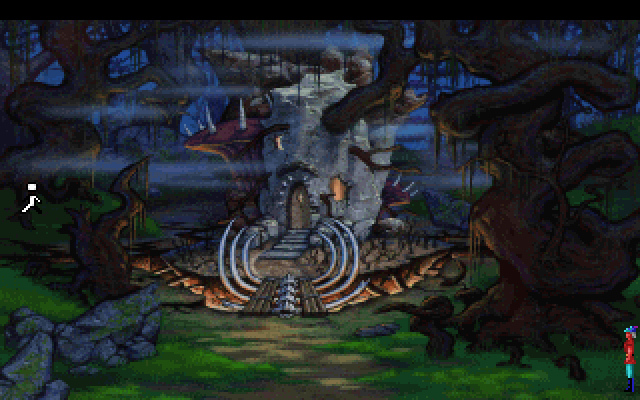 The birthstone puzzle still haunts me from time to time and the grotto is one of the coolest location ever put into a point and click adventure! If you never played it I suggest you find yourself a copy of this gem and give it a whirl, for fans of point and click games you wont be disappointed. This was my first jaunt into the point and click genre and boy was it a doosy! Shadowgate still stands as one of my most memorable gaming experiences of all time, never before had I played a game that had so much freedom and so many pitfalls, in an era dominated by the platformers, this game broke convention and threw a curve ball at my little brain! As an unnamed hero you awake outside Castle Shadowgate and must find the key to even open the front door, once inside a torch must always be lit or you will die, and yes there is only a finite number of torches thus giving the game a constant since of urgency. Shadowgate is filled with some ingenious puzzles and foes at every turn, careful thought must be applied for any progression to be accomplished, but don’t tarry to long as the torches are constantly burning away. I remember being so often frustrated at how to advance sometimes that the game became a constant source of agony but the AH HA moments when you finally solved a puzzle was so much greater! 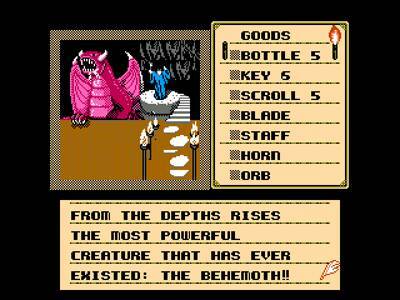 I still recall being stuck at that damn Wraith for days, before I finally realized I had a “Special Torch” and the Warlock Lord/Behemoth at the end was a trick that I believe may have been figured out by calling the Nintendo hot line! So many fond memories as my best friend and I toiled away days of our lives inside Castle Shadowgate, that’s why it belongs at number 2 on my list. I purchased two of my favorite games of all time on the same visit to the game store and for months had to split my gaming evenings between Kings Quest 5 and Covert Action. 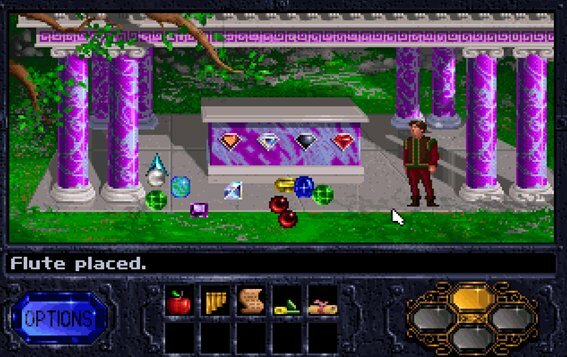 KQ5 is as classic as PC gaming comes as the only member of the royal family to escape the tragedy at Castle Daventry, the protagonist Graham and his trusty talking owl sidekick Cedric set out on an epic quest that will take you over the great mountains and across the sea to far away lands. You will battle Yeti’s, bump into Sirens, and eventually confront Mordack and his pesky cat to save your family. This game contains some of the toughest puzzles I can recall, and it also required the player to create their own maps, the desert and the labyrinth come to mind. I recall talking with friends who were also playing through the game all of us stuck at different locations but helping each other through. Who would have guessed that the pie from the bakery was the ultimate weapon against yetis or that the old man could only hear you if he held a seashell to his ear. Some parts required precise movements and timing while others parts required deep thought and everything required proper order, one thing always led to the next. So many nights, so many memories, such a great series, and such a perfect game!